Home » Biography » FEATURE – MARILYN MONROE, A CANDLE IN THE WIND! Marilyn Monroe was a woman who clearly practised what she preached. Not only one of cinema’s most iconic stars but also one of the twentieth century’s most famous and enigmatic personalities, Monroe died at the tragically young age of 36. However – though she undoubtedly lived life to the full – whether she was free from fear or regrets, particular towards the end of her life, is open to conjecture. Born Norma Jeanette Mortensen on 1st June 1926 in Los Angeles, Monroe had a transient upbringing moving between orphanages and foster families due to her absent father and mother’s inability to cope as a result of mental and financial instability. After finding work as a successful model during the mid 1940’s Norma Jean was spotted by 20th Century Fox and signed to a six month contract at $125 a week. It was here she changed her name to Marilyn Monroe, but it took a move in 1948 and a new six month contract at Columbia Pictures before she began to win speaking parts and as a result come to the attention of the wider public. Attention with which she would always have a love hate relationship, despite it making her a Hollywood legend. Monroe’s apparent ambivalence towards the industry which made her a star is perhaps best seen in relation to one of her most famous roles, that of ‘The Girl’ in Billy Wilder’s cult film The Seven Year Itch (1955). The scene in which she becomes lost amongst the folds of her billowing skirt as she stands over a subway grate on New York’s Lexington Avenue at 52nd Street has gone down in history as one of the screen’s most iconic images. Yet her husband at the time Joe DiMaggio, who accompanied her on the day of the shoot, was reportedly infuriated by the raucous reaction of fans who had gathered to watch the scene being shot. Monroe herself was said to have become increasingly upset after Wilder insisted on numerous retakes, and later described what had started of fun, as becoming a nightmare towards the end. Despite her apparent dislike of the attention she sometimes garnered, and admittedly she didn’t always set out to be centre of attraction, as Monroe’s career blossomed she increasingly became the focus in many of the films she appeared in. Mention All About Eve (1950), Gentlemen Prefer Blondes (1953) and The Prince and The Showgirl (1957), and it’s Monroe’s name which usually springs to mind first, despite their casts featuring such legends as Bette Davis, Jane Russell and Laurence Olivier. The truth was that towards the end of her life Monroe’s fame, as the case with many stars, began to eclipse a genuine talent. It may be the persona of ditsy, bubble-headed blonde that she perfected in such films as Monkey Business (1952) and Some Like It Hot (1959) for which the public best remember her, but she showed real depth and genuine ability in such thrillers as The Asphalt Jungle(1950) and Niagara (1953) and dramas like The Misfits (1961). 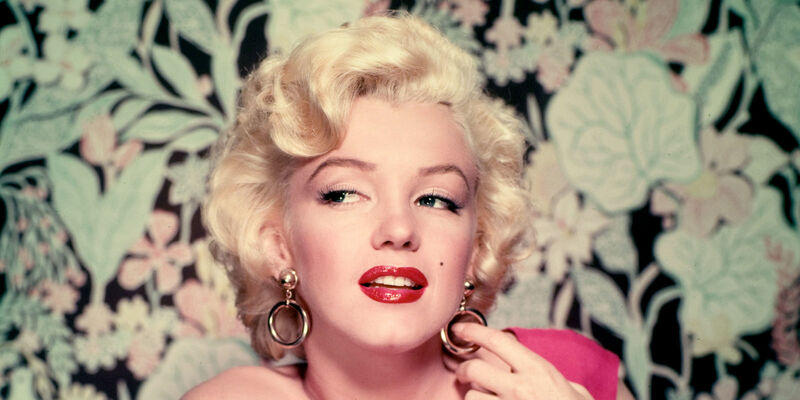 If Monroe had trouble with an adoring public, her private life was equally fraught. Her three marriages – first at 16 to policeman James Dougherty, then to the aforementioned baseball star Joe DiMaggio and finally playwright Arthur Miller – all ended in divorce, often because of the husband’s failure to deal with her fame. However it may have been her extramarital affairs which caused her final downfall. Reputed to have had close relationships with both John F Kennedy and his brother Robert, it was less than two months after her infamous appearance at a birthday gala for President Kennedy in May 1962, that Monroe was found dead at her home in the Brentwood district of Los Angeles. The cause of death was officially recorded as poisoning resulting in ‘probable suicide’, though whether this was because of her fragile state or due to involvement from ‘other parties’ was never fully established. Like all truly great stars Monroe’s influence has lived on long after her death – infact some would say it is as strong now as it ever was. From fashion to films, songs, art and books her peroxide bob, red pout and hour glass figure can be seen everyday, peering from television screens, billboards and magazine advertisements. Stars like Madonna have openly acknowledged the effect Monroe had on their careers – the video for her 1985 hit ‘Material Girl’ a clear homage to Monroe’s rendition of ‘Diamonds Are A Girl’s Best Friend’ in Gentlemen Prefer Blondes. But the spell she still casts over the public is probably best seen in Elton John’s rendition of his own song ‘Candle in the Wind’, originally written about Monroe in 1973, but later reworked for the funeral of Diana, Princess of Wales in 1997. The use of the song was perhaps apt considering how much the two women had in common – both led tragic lives in the constant eye of a public hurricane, died at the age of 36 and whose deaths are still shrouded in mystery and conspiracy theories decades later. However it is her film appearances for which Monroe will be most fondly remembered, and which are likely to keep her candle shining brightly for many years to come.